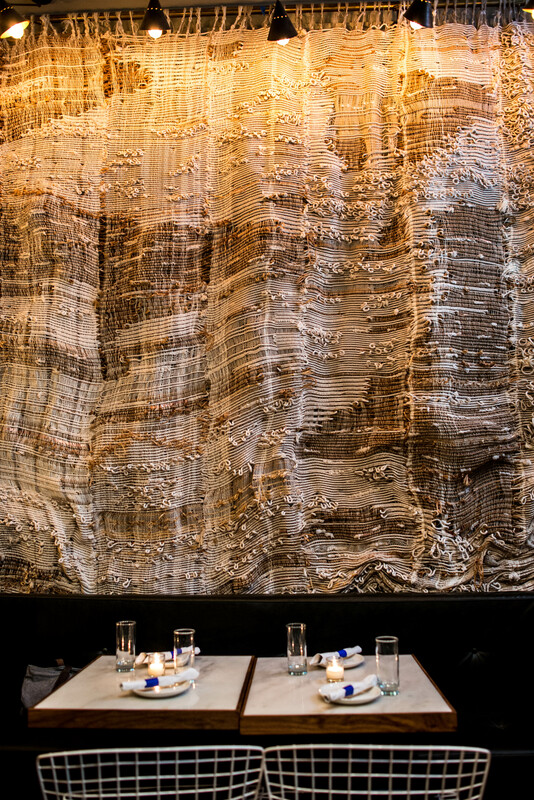 Stepping into El Quinto Pino is liking finding a little quiet sanctuary. 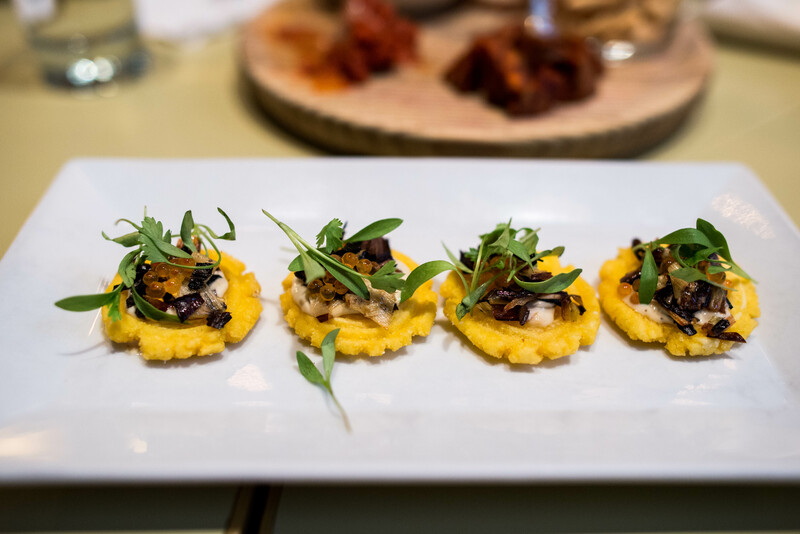 Tucked on a quiet street behind the London Terrace in Chelsea, the tapas bar is as petite as a restaurant can be even with the extension added a few years ago, just as adorable as the dishes it serves. Start the meal with a meat and cheese plate, Spanish style of course. 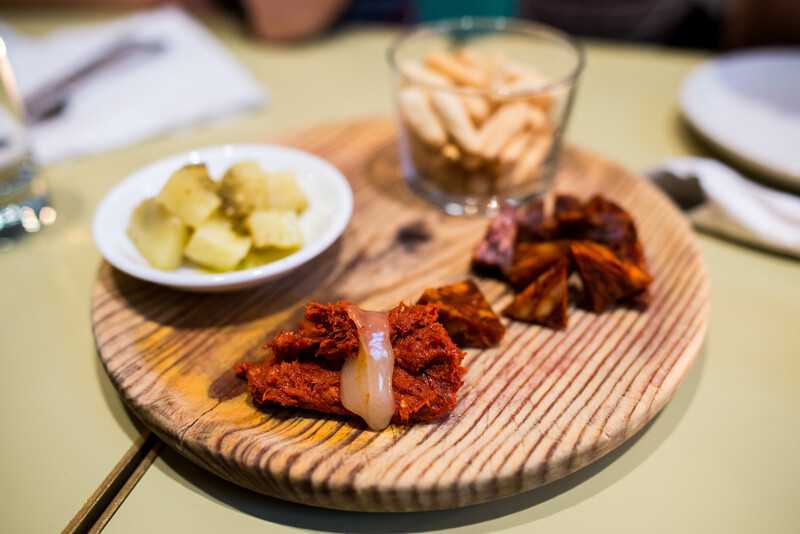 The picos and taquitos plate includes a punchy imported chorizo, za’tar marinated manchego, housemade Menorcan style spreadable sausage and artisanal olive oil bread sticks. And of course, pan amb Tomaca, three crispy slices of bread rubbed with fragrant garlic and tomatoes. We opted for ours to be topped off with slices of anchovies for that extra salty bite. 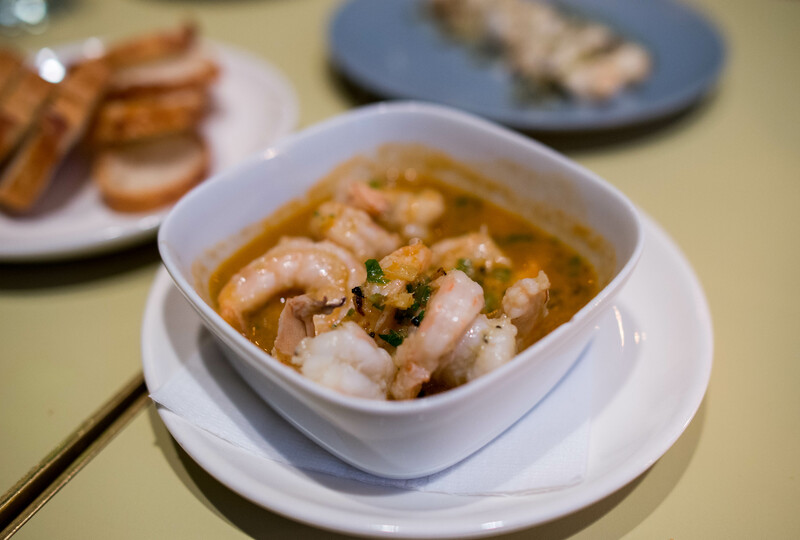 Another classic, gambas al ajillo, is a must have with plump shrimp and spicy kick from jalapeno. Be sure to ask for an extra plate of bread to soak up every little drop of broth left over. While calamari a la plancha might sound ordinary, don’t pass these up. 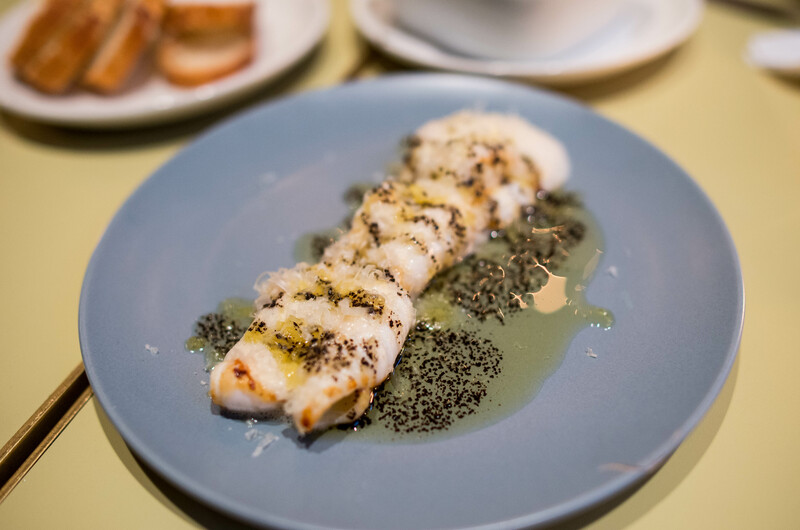 The tender calamari pieces here are finished with squid jus, parmesan and black garlic. All the flavors create a fantastic unami note to compliment the calamari. While I am a die hard fan of the paella at Socarrat, the fideua at El Quinto Pino puts up a good fight. 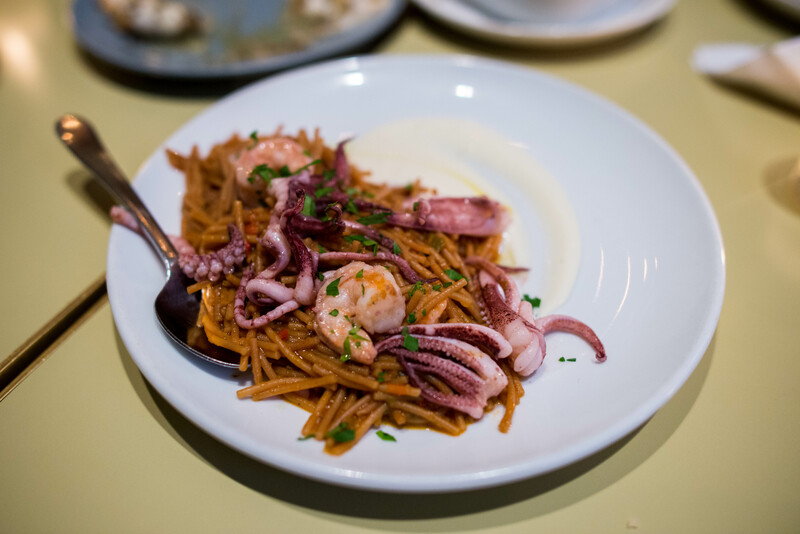 This Valencia style paella consists of broken noodle pieces mixed with plump shrimp, tender squid and aioli. 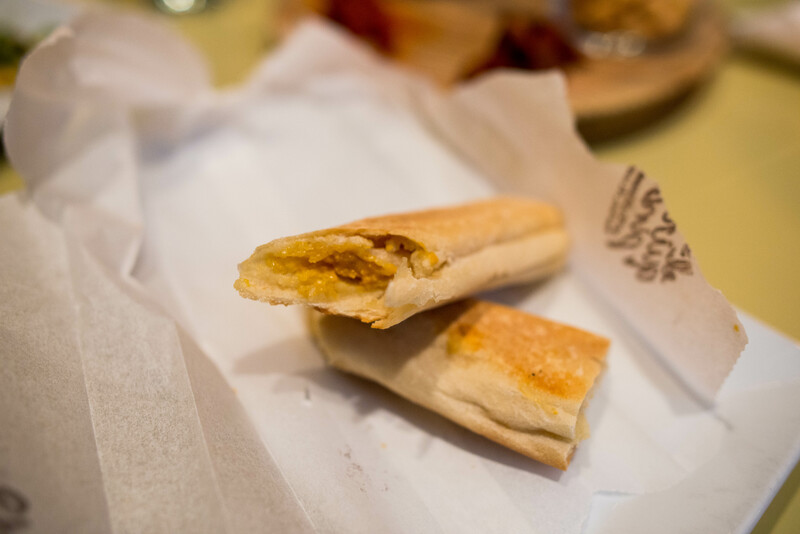 Before you call it quits on the savories, be sure to put in an order of uni panini, a signature here at El Quinto Pino. It is as simple as it sounds, sweet luscious pieces of uni pressed in between buttered ficelle bread. A little bit of mustard oil for a kick, this indulgent treat is worth every bite of calories. 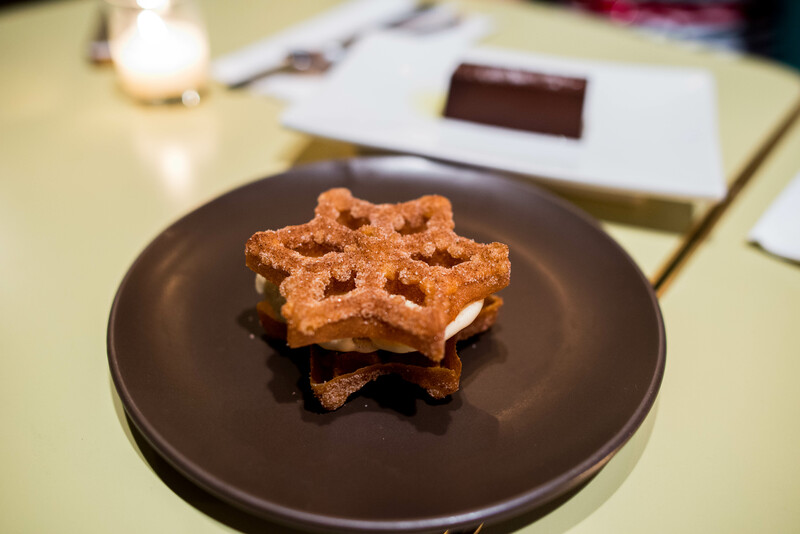 Ice cream sandwiches take the form of a snowflake here at El Quinto Pino. Dusted with abundance of cinnamon, the cookies are light and airy, a great contrast to the rich creamy filling. 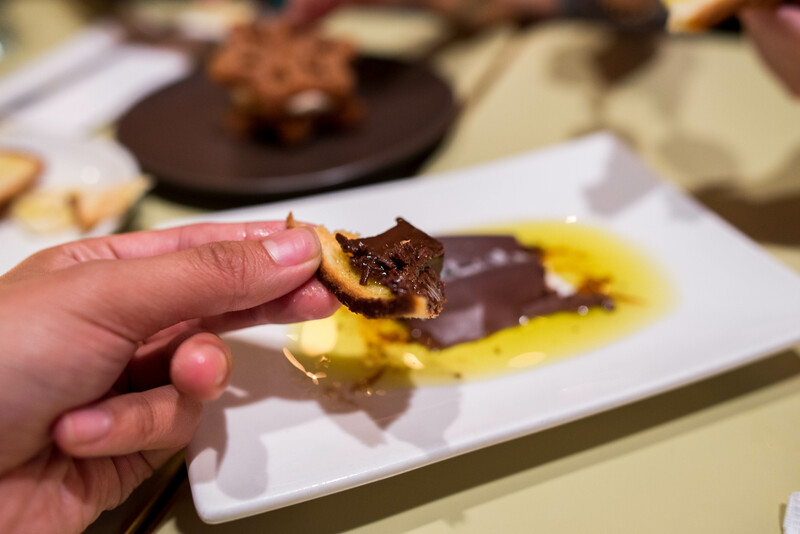 For the chocolate lover, the classic dessert of pan amb xocolata will satisfy your sweet tooth. The seemingly dense block of chocolate ganache gives away to a creamy soft center of chocolate and olive oil. 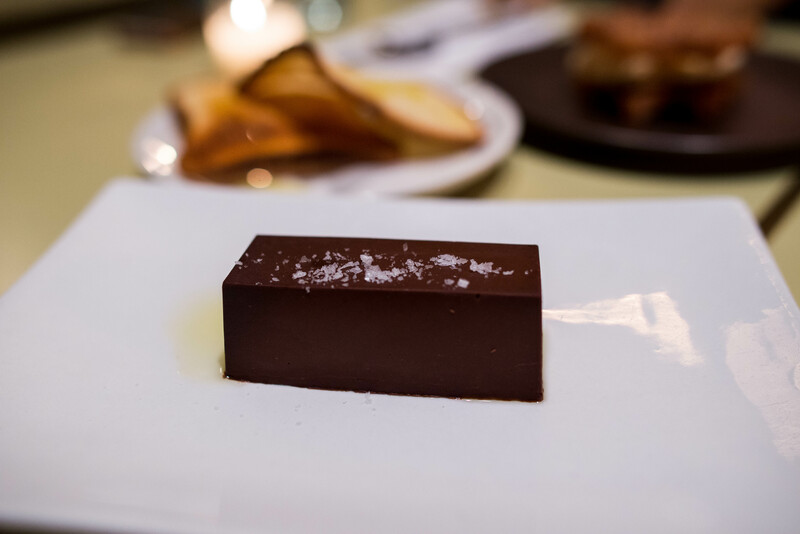 The richness of the chocolate is balanced by the salt flakes and the grassy notes of the olive oil. 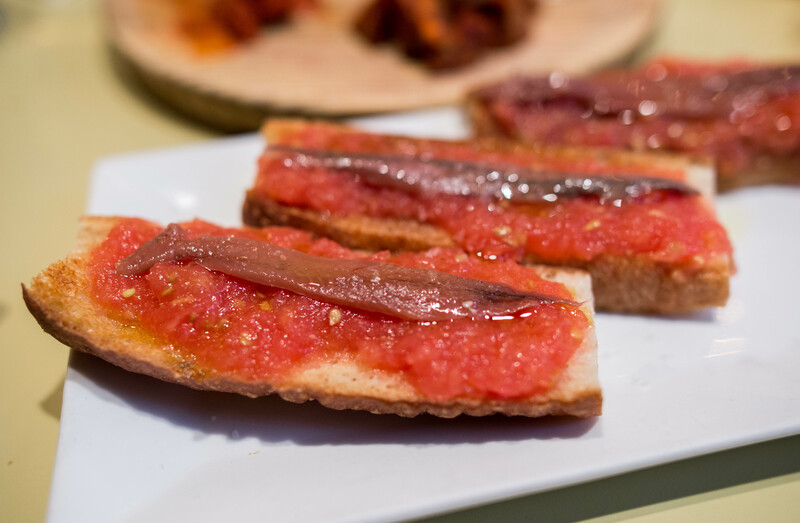 A delicious end to a culinary tour of Spain through bites of tapas and other tidbits.